Many years ago when new to trading, I participated in a forum and got to meet Olm who introduced me to this strategy. Of course, he posted trades almost every day and was present to reply to questions. For a newbie to trading, the CCI Slingshot seemed to be simple and it proved to be a way to make some profitable trades. I have written a couple articles about the Slingshot in the past, today I will try to document it much more thoroughly. These are included with almost all charting packages and it is a simple layout on a chart…. quite sereviceable. The pattern appears on all time frames, people can use daily or a fast tick chart or anything in between. As you can see, the setup is simple and the chart is relatively clean. In this example, price has retraced and the CCI 6 climbed up to the 100 line while the CCI 14 climbed up to the 0 line……. As price resumed the trend, we have the entry. Simple Stuff! Of course, this entry is on a one minute chart, price will not move that far. but on the longer time frames there will be a good move, most of the time. I want to include all of the material I can locate on this trade, provide a complete background as there is more than my interpretation to be studied. The first article is one published by OLM many years ago. A slingshot is a pullback against an existing trend. For example, let's say that you have a strongly upwardly trending market. It would be only natural to see a little either profit-taking, or just reversal off of that upwardly trending market, because markets don't move, either straight up or straight down. The purpose of the slingshot is to be able to identify those pullbacks against the trend, and then re-enter in the direction of the trend. There are many different ways of defining trend: some people use the 20 EMA, some the 34 EMA, some 89 EMA - just a wide variety of different methods. What I have found that works for me is to define the trend as the direction of the 34 EMA. I am not saying that the others won't work, or don't work; just that I and others have found the 34 EMA to be the best measure of trend. Now, the CCI (commodity channel index) is used to see the slingshot. We use two different CCIs, overlaid onto each other. The CCIs are identical, except for the length. One CCI has a length of 14, the other (commonly called the turbo), has a length of 6. So basically, the three indicators used are: the 34 EMA, and 1 CCI with a length of 6, and 1 CCI with a length of 14. Now, let's assume, for the sake of argument, that we have an upwardly trending market, and then we get a correction within the 34 EMA uptrend. Typically, to get a slingshot, the turbo CCI goes down to the minus 100 level, and the 14 CCI goes to the 0 line. This is a slingshot set up for a long trade. Now, I have been asked many times if the numbers have to be exact. what we are looking for here is the basic pattern, not exactitude. In other words, the CCI 14 can turn around in what is called the zero line zone. Now that is where the CCI 14 has a value between plus 33 and minus 33. Correspondingly, the turbo CCI doesn't have to go to exactly minus 100; it can go minus 110, minus 120 - you get the idea. What I have found essential is to have about 100 points between the turbo and the CCI 14. Now typically, I use a 3 minute chart to identify slingshots. This is because I use IB as a data vendor. Now, if I were using a data vendor that sent out all the ticks, which IB does not, then I would be looking at a 233 tick and a 3 minute chart. This is just my way of doing it. Slingshots work on all time frames. I have seen them on 5 minute charts, 10 minute charts, 13 minute charts, 30 minute charts, daily charts, etc. Ok, how to enter on the slingshot. Typically, on a normal slingshot, you will see a very distinct V on the turbo, at around the minus 100 area, for an uptrending market. On the other side of the V is the re-entry long. Generally, I would use a 2 point stop. Others would use different, but I certainly wouldn't use less than like 1.25-1.5. It is just what I've seen that works. Slingshots don't go on forever, just as trends don't. Generally, from what I've seen, you can get either 3 or 4 good slingshots in a trend, using a 3 minute chart. This corresponds with the well-known market adage of 3 rallies to a top and 3 drives to a bottom. After these 3 or 4 moves, I begin to get very leery of taking another slingshot, because generally the move has petered out. you won't see on the 3 minute. This is because the slingshot that you can see on the 233 tick chart will, on the 3 minute chart, look more like a bull or bear flag. but, either way, whether you use a 3 minute chart, or a tick chart, the slings are there. Hopefully, this has not been as clear as mud, and I am sure that there will be questions. Please feel free to email me at ****************** with any you may have. Unlike others, I want to focus on things that CAN be traded. Others look at these weird ESPX weekly charts, or monthly charts, or some goofy thing that you can't trade. This is not my style. I want this to help others generate real dollar profits. Here is a simple and concise interpretation of how to trade with CCI. It comes from Fitzy, across the pond in Australia. These charts come by courtesy of Steve Fitzsimmons, Fitzy40. If you have comments or questions for Fitzy and how he trades CCI you can go there. You can also find Fitzy trading at night on Paltalk. Fitzy gives great advise when he says "It does not work for everyone. Trades are taken at your own risk. The examples included have been chosen to show the set-ups. Set-ups don’t always work. They are a guide only." This is always the case with valid trading methods. I personally do use CCI on one of my screens that I trade from. The most important factor is screen time. Learning the nuances of a setup/indicator will allow you to become a consistent profitable trader. Six variations of using CCI are presented here by Fitzy. If you master just one you can be consistently profitable. My advise is to do exactly that. Master one setup, then add another setup or another indicator to tweak the setup. The following is a list of set-ups and my interpretation of them. It is up to individual traders to make a workable trading plan from them. The CCI that is used is a standard 14 period (black). There is also the turbo CCI that is a 6 period CCI (red) overlaid on top of the 14 period CCI. These set-ups can be used on any time frames. 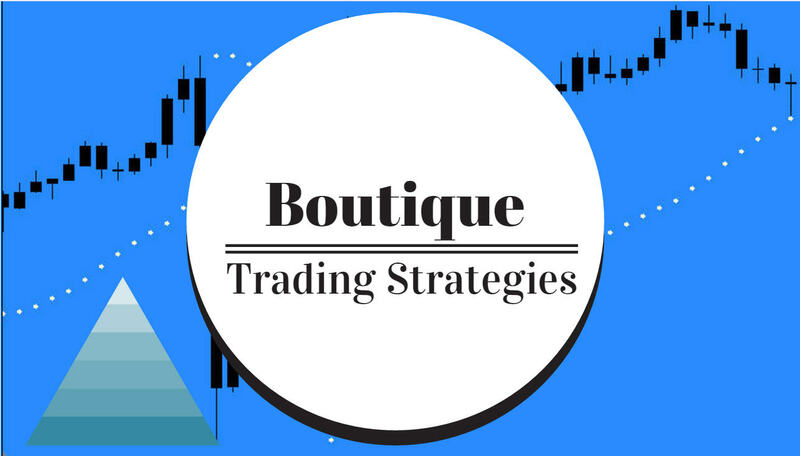 Others can be used depending on your trading style. The trend on the CCI is determined by the zero line. If you have more than 5-6 bars above zero the trend is up and vice versa for down. 1) Regular divergence set-ups use 3 – 10 bars. The trigger is when the 14 CCI crosses the 100 line. The divergence must occur above or below the 100 lines on the indicator and the best ones occur at an extreme reading of 200 or more. Remember these set-ups are against the trend. 2) Reverse divergence set-ups use 3 – 12 bars. They can occur anywhere and they are the stronger divergence set-ups as they are with the trend. Use a trendline break or a zero cross as the trigger. 3) Trendline breaks occur on the CCI indicator not on the price. The best ones have well defined peaks and valleys and the more touches of a trendline the stronger they are. They should always start from outside the 100 lines. My favorite ones are with the trend. Others with high win % are when they occur at the zero line. 4) Zero line rejections occur when the CCI comes up to or goes down to the zero line then hooks and goes back in its original direction. These are best with the trend. 5) The slingshot pattern is when the 14 period CCI rejects the zero line and the turbo CCI hooks at around the 100 line. Trigger is the hook of the CCI. That concludes this description of the CCI Slingshot, I hope you will find it to be an excellent addition to your trading tool box. I have added a short movie which includes some Renko charts.